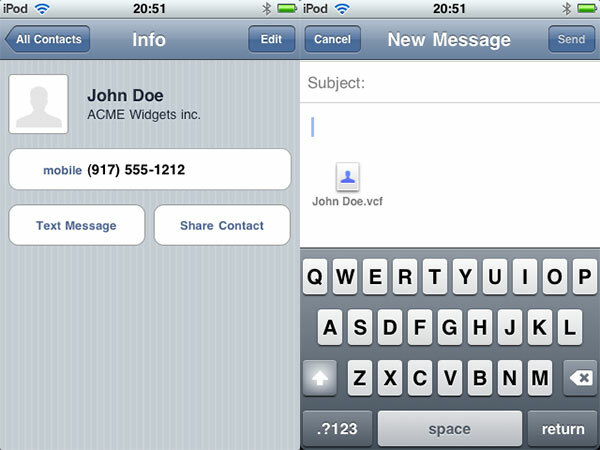 It also adds to the bottom of Contacts the ability to share your contact information with someone else via e-mail or MMS. Bluetooth contact transfer is also expected, but not obviously accessible at this point. Apple uses the widespread VCF format for contact file transmission. 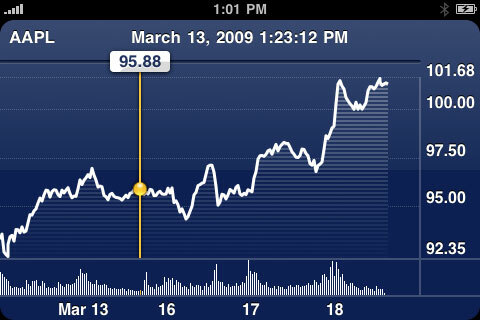 Beyond its ability to display stock charts in widescreen mode, additional details have been added to the Stocks application. 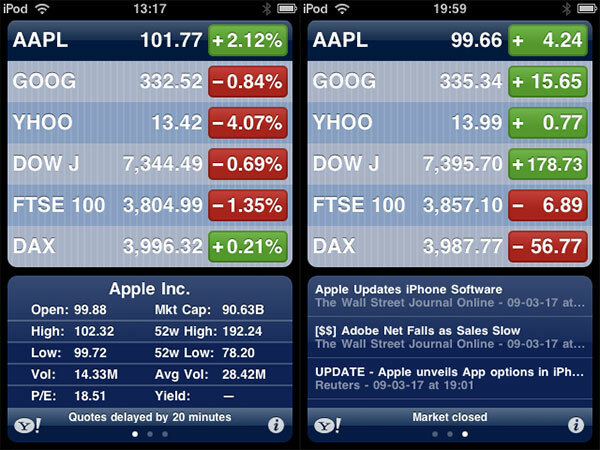 Stock headlines relating to stocks in your portfolio, as well as more detailed current statistics for the selected stock, are now displayed at the bottom of the screen. 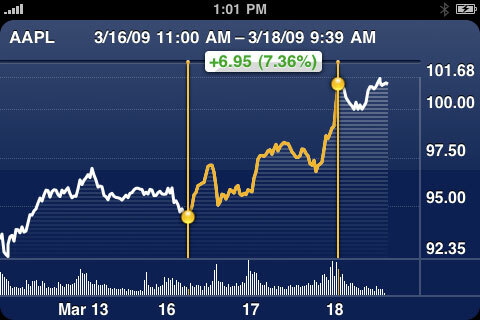 Multi-touch can be used to measure the change in a stock’s value from two points on a dateline, using sliding bars to set start and finish dates for the comparison; a calculation of the price and percentage difference appears on screen. 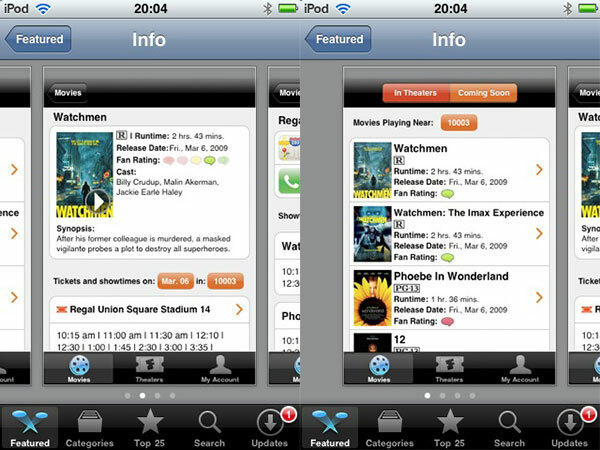 Additional tweaks to the on-iPhone App Store have also been made in iPhone OS 3.0. 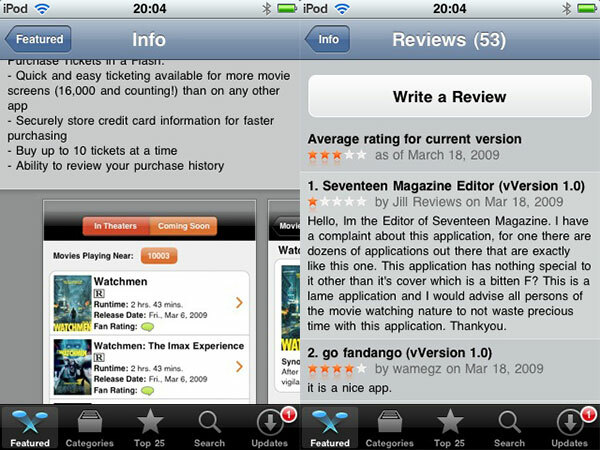 Individual listings now contain reviews that have been tagged by version number, rather than generically pooling all reviews across multiple versions of the application as is done now. Additionally, multiple, scrollable screenshots have been added to the middle of app download pages. 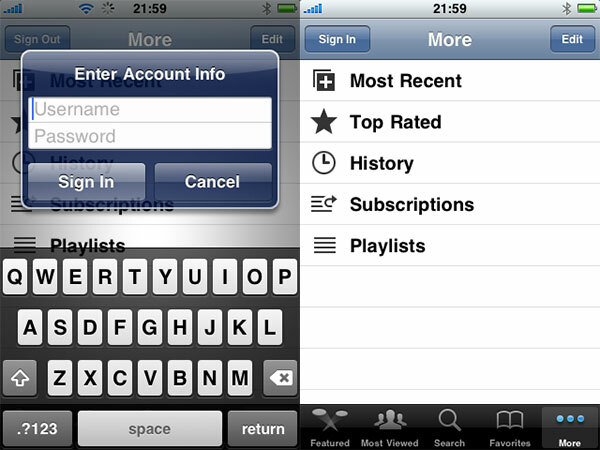 Though the core functionality of YouTube appears to be the same as it was in both prior iterations of the iPhone OS, Apple has given the application the ability to connect to your YouTube account, complete with a username and password sign-in dialog box. Once you’re connected to your account, you have access to video subscriptions and playlists of videos, neither previously included in the application. Your history may also carry over from your computer-based YouTube browsing, as well. While there haven’t been any dramatic changes made to the iPhone-only Camera application, Apple has changed the bottom-left button from a generic “see the Camera Roll” icon to a tiny thumbnail of the last picture you snapped. Clicking on it brings you to the Camera Roll screen in your Photos library. The Photos app now enables you to select multiple photos at once to be Shared (e-mailed or MMS multi-media messaged), Copied (into another app), or Deleted. This is a major improvement for users who have been forced to send multiple individual e-mails to share photos. 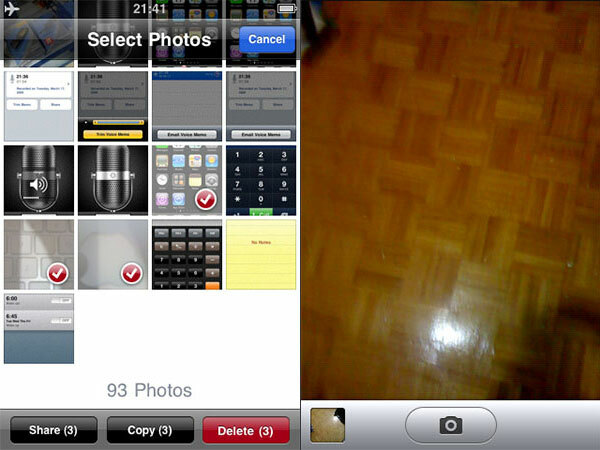 Note that the original iPhone will not support sharing of photos or other MMS features, but the iPhone 3G will. Apple’s collection of Settings screens continues to increase and change a little with every iteration of the iPhone OS, and this version continues that trend. 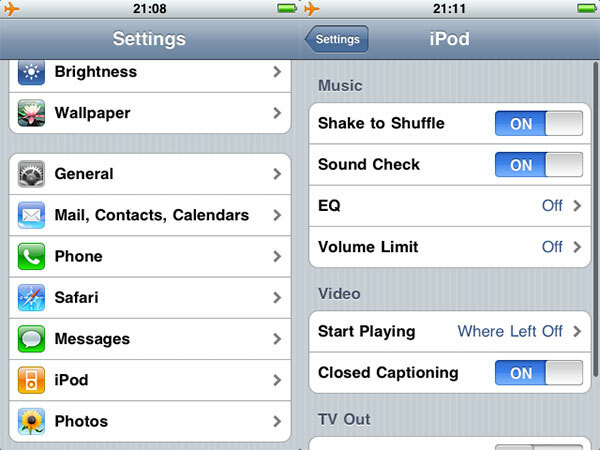 New optional features are buried within these menus, including the iPod Shake to Shuffle feature, which first appeared in the fourth-generation iPod nano: when you’re listening to music, shaking the iPod changes the current song and randomizes playback. On the iPhone 3G, there is now an option to enable MMS messaging—a multimedia messaging feature that other phones have had, but the iPhone and iPhone 3G have not. 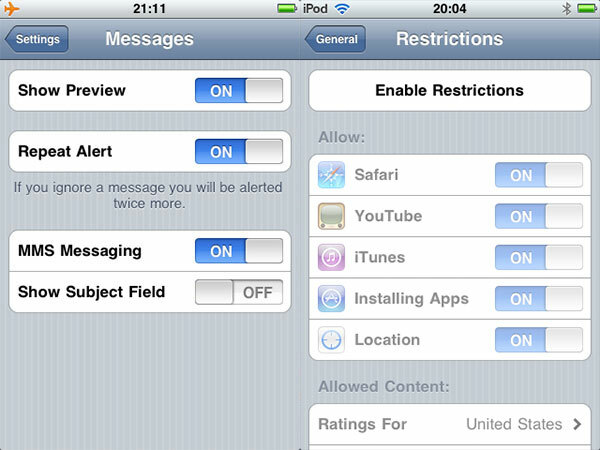 While this feature is unavailable on the original iPhone, and the costs have not yet been disclosed for using it—the instantaneous, device-agnostic equivalent of text messaging, but for photos, audio, contacts, and other data files—you can activate it for the iPhone 3G under Settings. Otherwise, the Messages application will be limited only to text messaging. 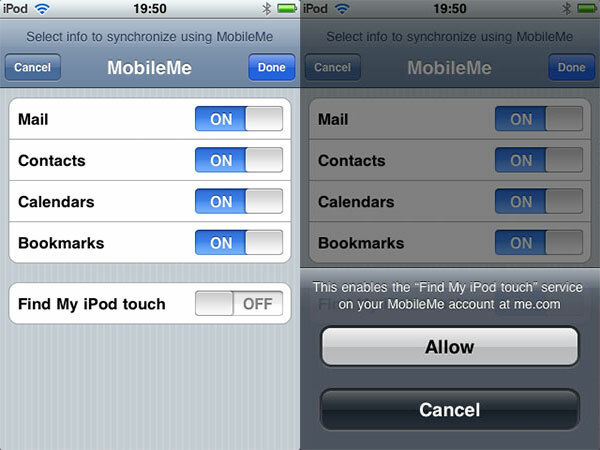 Apple’s MobileMe service is apparently gaining the ability to “Find My iPod touch” or “Find My iPhone,” presumably using a direct Push-based messaging connection to the device in combination with location-based services to figure out whereabouts a lost device is currently located. 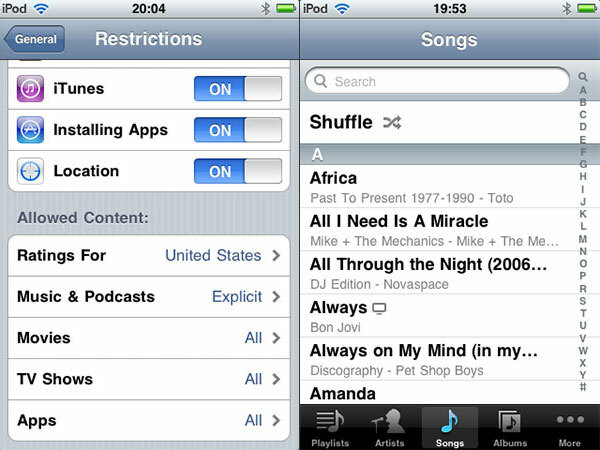 Additional restrictions, or parental controls, have been added to prevent access to the Location functionality, as well as more specific restriction on what sort of iPod media content is allowed to be displayed on the device. 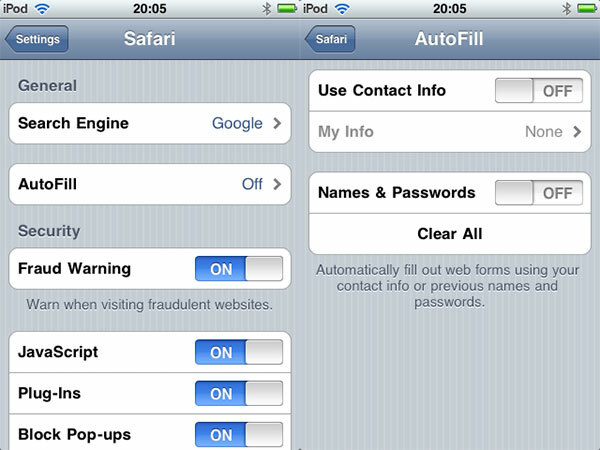 New Safari settings offer access to AutoFill, which will automatically populate web browser fields with your specified Contact information upon request, and also store names and passwords for specific sites. Another feature adds a Fraud Warning, which pops up when you are going to visit sites determined to be “fraudulent.” Our sources have been unable to trigger this feature so far. A new Load Remote Images option has been added to let Mail have faster access to the text in your mailbox, eliminating its need to acquire images when loading messages. 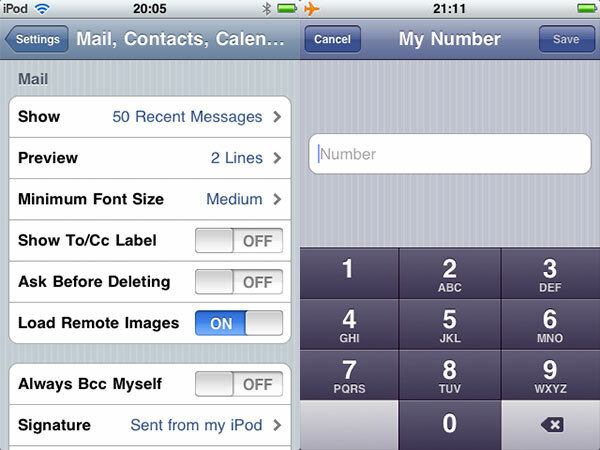 Presumably only for developers, but possibly to acknowledge the unlocking of phones in certain regions, iPhone OS 3.0 currently enables users to enter their own preferred phone numbers into the settings menu; it is unclear whether this feature will appear in the final version of the software.